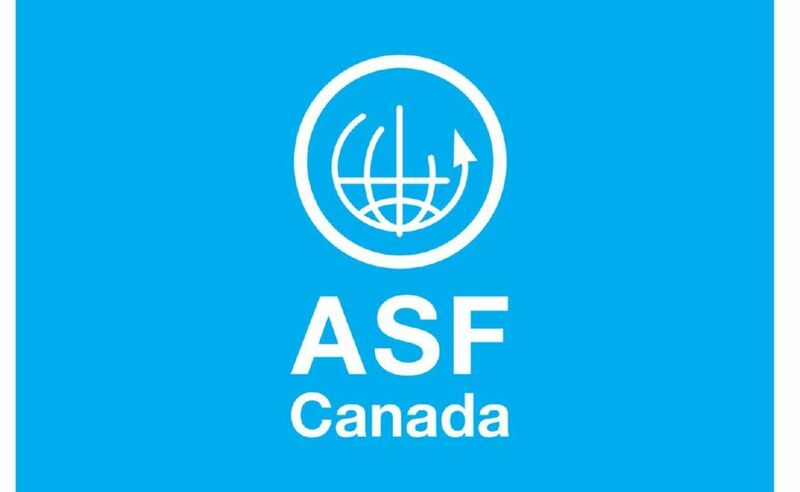 The 16th Assembly of States Parties (ASP) to the International Criminal Court (ICC), to which the Canadian Partnership for International Justice attended, is already over. Summary of two eventful weeks. The ASP started its work on December 4 with a plenary opening session where the main issues of the 16th session were discussed, namely the election of six judges and members of the Bureau, the activation of the ICC’s jurisdiction over the crime of aggression, situations of non-cooperation, the relation between the Court and State Parties (in particular African States) and the remedies granted to victims of crimes within the ICC’s jurisdiction. Later this day, after the first round of voting, the Assembly elected two judges, Ms. Tomoko Akane from Japan and Ms Luz del Carmen Ibáñez Carranza from Peru. The Partnership delegates then attended a side event on the professionalization of investigations in relation to international crimes. This first day ended with a reception organized by Amnesty International to launch their new platform “Human Rights in International Justice”. During the second day of the ASP, three more women judges were elected: Reine Alapini-Gansou, from Bénin; Solomy Balungi Bossa, from Ouganda; and Kimberly Prost, from Canada. 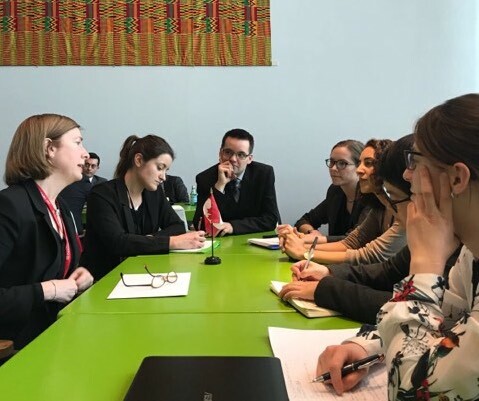 The Partnership delegation attended many side events, including one related to reparative justice that highlighted that the full realization of the complementarity principle cannot be achieved without the respect of the rights of victims of international crimes. The Partnership delegates started the third day of the ASP hoping that the election of judges could be completed so the Assembly could move on to address other issues. Their wish came true when Rosario Salvatore Aitala, from Italy, was the sixth and last judge to be elected after the ninth round of voting. In the end, the voting process was a lot faster than in 2014, to the benefit of the Partnership’s delegates. They took the opportunity to meet with the co-researcher Mark Kersten to discuss issues related to international justice. Furthermore, the side event to which the delegates attended that day touched topics such as the national jurisdictions’ role in the fight against impunity, the importance of dissuasion and the role of the ICC in the current human rights violations, issues related to the cooperation of Côte d’Ivoire with the ICC, issues related to sexual and gender-based violence (SGBV), and the qualification of ecocide as a crime against humanity. On the fourth day, the delegates carefully listened to the speeches pronounced by the representatives of State Parties, which intervened during the plenary session to publicly express their position on different topics, including the crimes of aggression and the budget, and to carry out messages to the world and to their colleagues. The delegates also attended side events discussing the second anniversary of the African Group for Justice and Accountability (AGJA), the drafted multilateral treaty for most serious international crimes, the particularities of the Nuremberg Principles Academy and the possibility of an ICC intervention to judge extrajudicial killings related to drug offences in the Philippines. 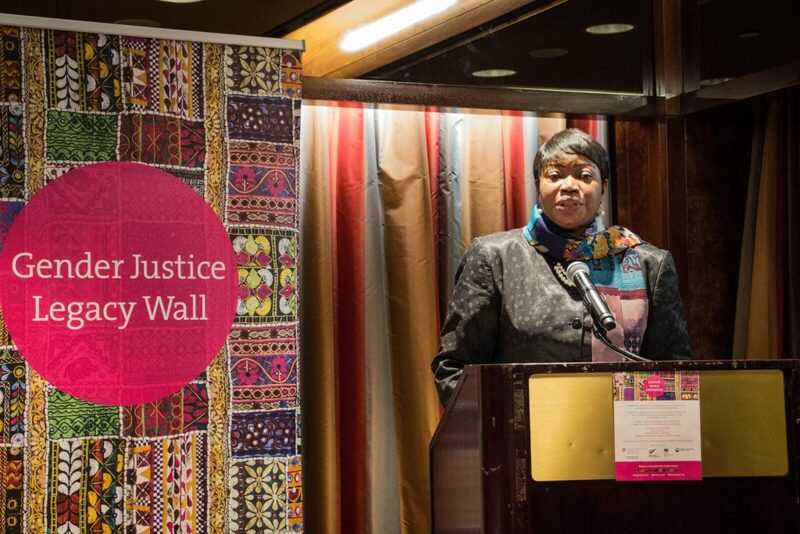 Furthermore, in the context of celebrations related to the 15th anniversary of the ICC in 2017 and the 20th anniversary of the Rome Statute in 2018, Women’s Initiatives for Gender Justice (WIGJ) launched in the evening the Gender Justice Legacy Wall, on which the co-researcher Valerie Oosterveld’s name appears, jointly with extraordinary women and men who worked for this cause. During this event, Ms. Brigid Inder received a special award for her work within WIGJ, which she leaves after nearly 15 years of implication. 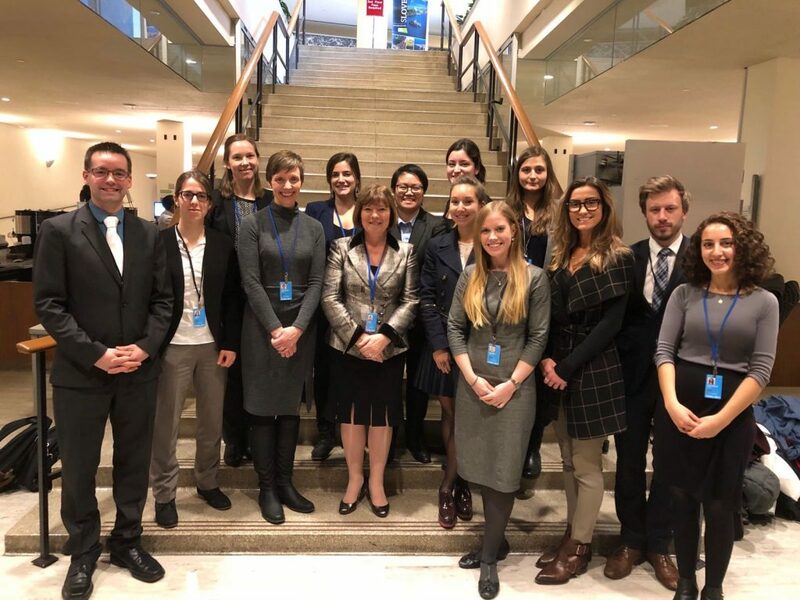 During the fifth and last day the the first week of the ASP16, non-State Parties to the Rome Statute and members of the civil society presented their declaration to the ASP. Then, the Partnership delegates had the great pleasure to informally discuss issues related to international justice with the president elected Judge O-Gon Kwon. They also took part to the launch of the study “Congolese Jurisprudence Concerning International Law Crimes” (« La jurisprudence congolaise en matière de crimes de droit international ») and of the ICC Prosecutor’s annual report on preliminary investigations conducted in 2017. The day ended with a side event on the situation in Burundi following the opening of an ICC investigation, which was followed by an expert panel discussion on immunities in international law, moderated by Mark Kersten. 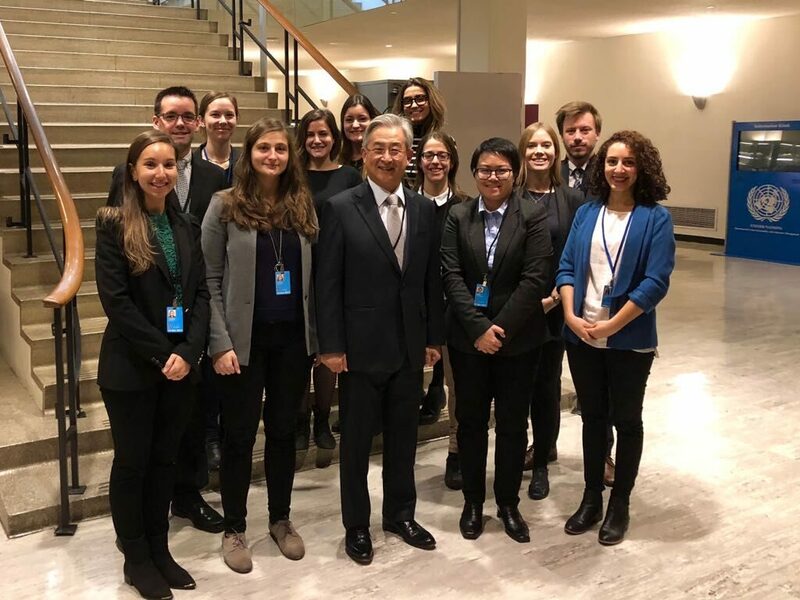 After a week-end busy with the writing of blogposts, reports and publications of all kinds, the Partnership delegates were back at the United Nations Headquarters on Monday, December 11, for the sixth day of the ASP. The discussions in the plenary sessions, to which they attended, concerned cooperation and the drafted amendments to the Rome Statute. 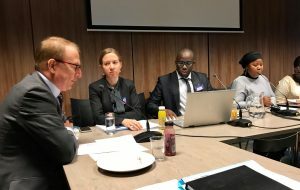 Furthermore, the day war particularly rich in side events, since the partner Lawyers Without Borders Canada organized an event on the progress made in relation to the fight against impunity in Mali. The delegation also reflected the ICC’s role in accountability for grave crimes committed in Ukraine, the progress made in the drafting of an international convention on crimes against humanity, and the role if the Security Council and the ASP in the improvement of the cooperation between the State Parties and the ICC. Later on, in the afternoon, the delegates visited the the UN Headquarters, which was both an instructive and entertaining activity. 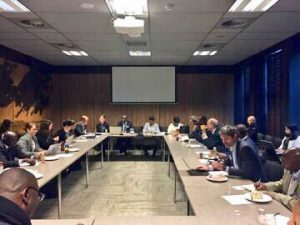 This eventful day ended with a reception in which an expert panel discussed the relations between the ICC and Africa, and by the presentation of a film on the formation of journalists in the field of international justice. Fannie Lafontaine joined the delegation for the 7th and 8th days ASP, enriching it with her stunning expertise and her contagious dynamism. The seventh day was of particular importance for the delegates, who were eager to meet with Ms. Louise Arbour, United Nations Special Representative for International Migration. After conversing with her for nearly one hour, the delegates attended the plenary session discussions about the drafted resolutions to be adopted by the Assembly at the end of the week. The Prosecutor Fatou Bensouda also presented her report concerning the current situation in Darfur. 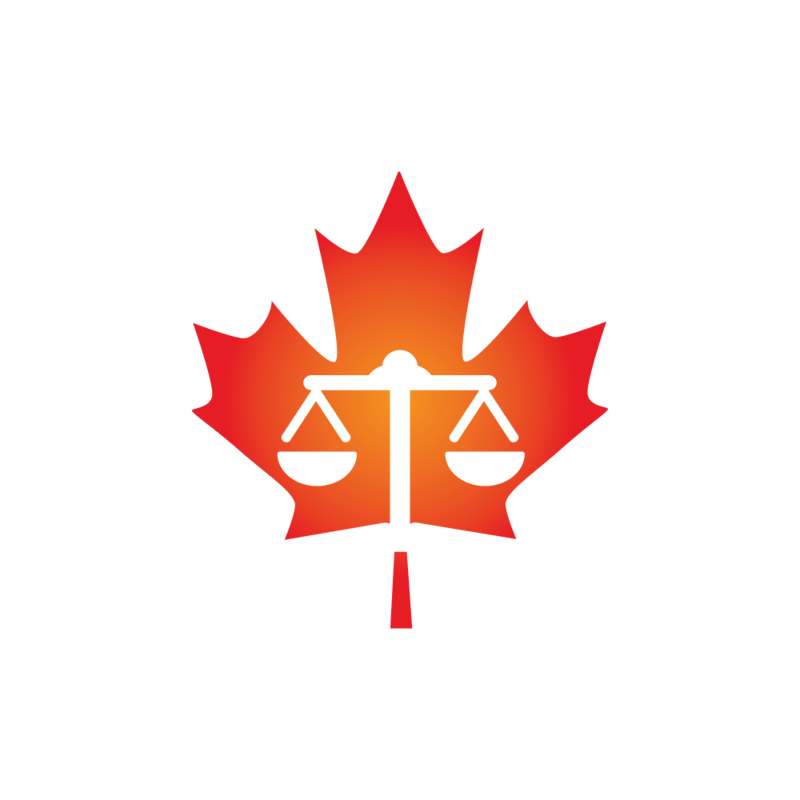 Later the same day, Lawyers Without Borders Canada organized a second event in as many days, this time concerning the challenges of the Colombian peace process. Other side events of the day led the delegates to reflect on ways to improve gender equality in the ICC personal, the use of SGBV as a method of warfare, and the fight against impunity of SGBV in Centrafrican Republic, Colombia, DRC and Iraq. 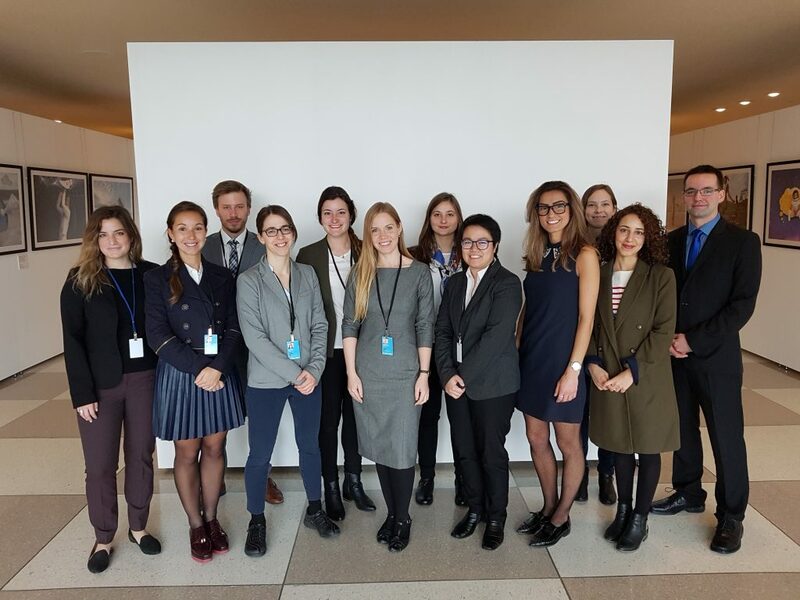 In the end of the afternoon, the delegation was pleased to meet with Catherine Boucher, legal advisor at the Permanent Mission of Canada in the UN. The content of this discussion must remain confidential; however, delegated truly appreciated to get to know this women engaged in the practice of law. 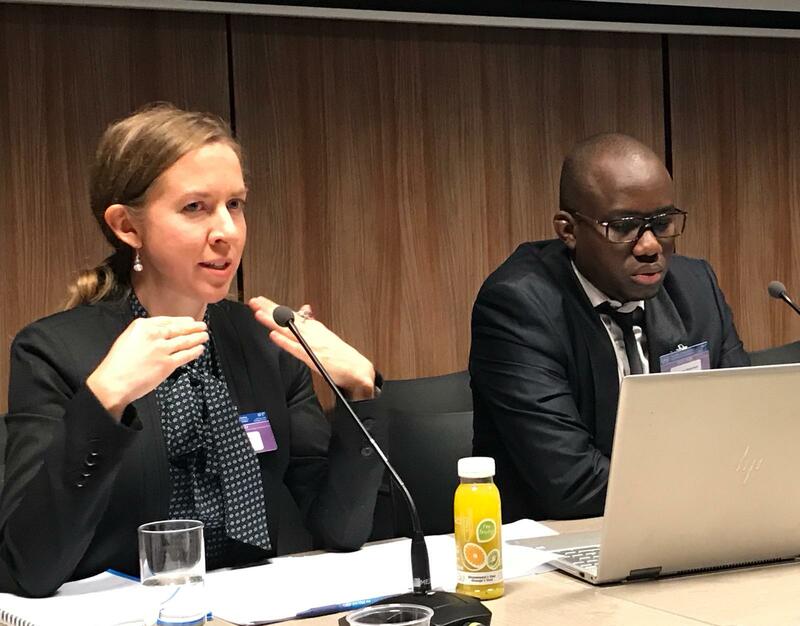 The highlight of the eighth day of the ASP was the side event organized by the co-researcher Valerie Oosterveld, addressing prosecutions of SGBV within the Special Court for Sierra Leone. Described by many as the best side event of the week, it brought together an expert panel moderated by the Partnership co-director Fannie Lafontaine. After this resounding success, the delegated met with the Canadian judge Kimberly Prost, who was just elected at the ICC, and asked her various questions about her career and, notably, her opinion on issues currently faced by the Court. 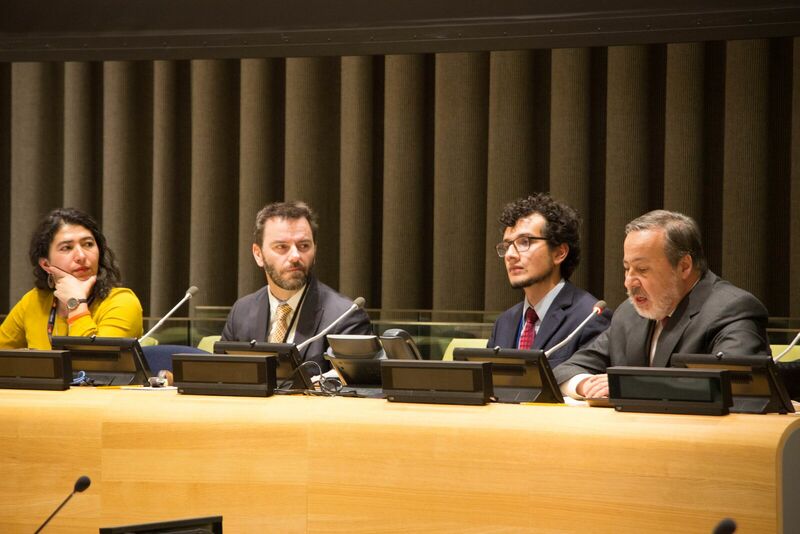 During that day, delegated also had the occasion to attend side events related to the creation of an Inter-American Criminal Court to judge issues related to organized crime, and celebrating the 20th anniversary of the Ottawa Convention on the prohibition of landmines. To say that the ninth and last day of the ASP was expected by all would be an euphemism. The eyes of the whole world were on the ASP16, expecting a historical decision: the activation of the Court’s jurisdiction on the crime of aggression. After adopting resolutions concerning the Registrar’s election, the Assembly had lengthy negotiations behind closed doors on the activation of the Court’s jurisdiction. These negotiations were planned to last until 6pm, but lasted a lot longer since no consensus could be reach in the time allowed. 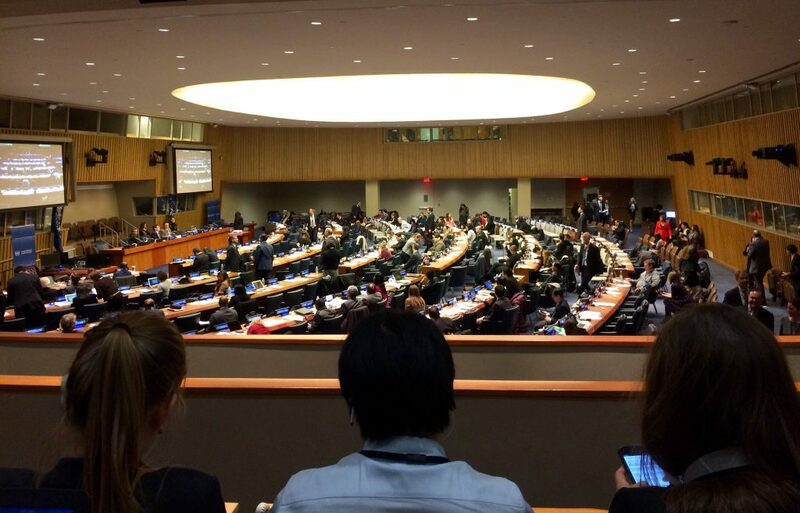 It was impossible to know when they would come to an end, and the delegates knew that if they left the UN Headquarters, they could not go back in before the next morning due to restrictions on access to the building. On the other hand, the food available there was very limited, and all were starving. The delegates decided to remain on the site, determined to do everything they could to attend this historical event. It is only at 9:30pm that the NGOs could have access to the plenary session to witness the deliberations. A last drafted resolution not opened to negotiations was submitted to the appreciation of States. Minutes later, a mistake was found in the wording of the third article, and a new version was transmitted. After a long pause allowing some discussions to happen, many States made declarations. It is only at that moment that the Partnership delegates noticed, not without a certain pride, that they were the only non-State representatives left at the Assembly. Their patience was finally rewarded when, a little before 10pm, the resolution was adopted without modification, and, importantly, by consensus! The subsequent State declarations watered the ambient joy, as they expressed their will not to be bound by the Court’s jurisdiction over the crime of aggression. The plenary continued in the night until 2:30am, under the delegates’ attentive eyes, which were still very awake. The delegates unanimously share the opinion that they will keep an imperishable memory of their attendance to the 16th ASP of the ICC. This event was extremely enriching, on the professional as well as on the personal level, and the skill acquired as well as the people met will never be forgotten. The delegation wants to emphasize the exceptional work of Erick Sullivan, which coordinated all its activities both before, during and after the ASP, and revised each and every publication made by every delegate, making sure at the same time that everyone’s attendance to the ASP was a most positive and unforgettable experience.